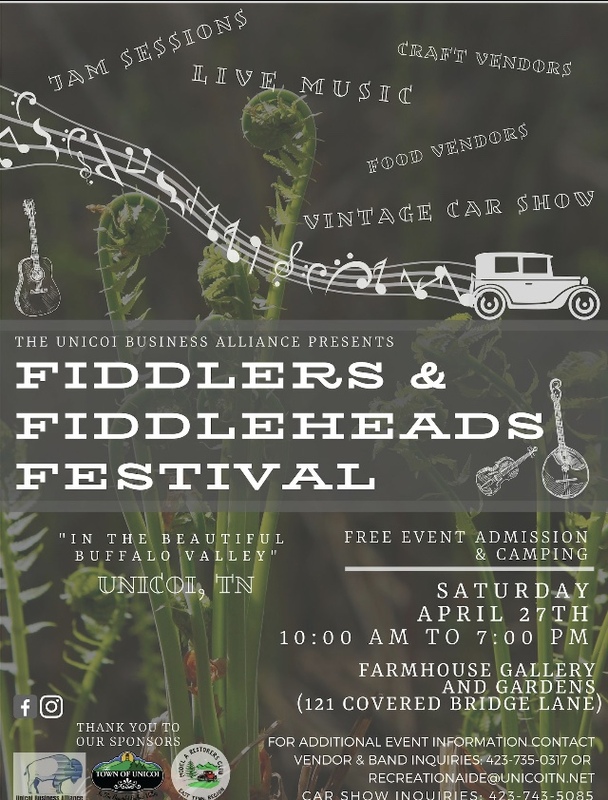 East Tennessee Model A Restorers Club will be hosting a non judging, antique car show (any car 25 years or older) at the 24th Annual Fiddlers and Fiddleheads Festival at the beautiful Farmhouse Gallery located in Unicoi, TN. The event is free and everyone is welcome. Free camping will also be available. No Hill Climb at this year event.